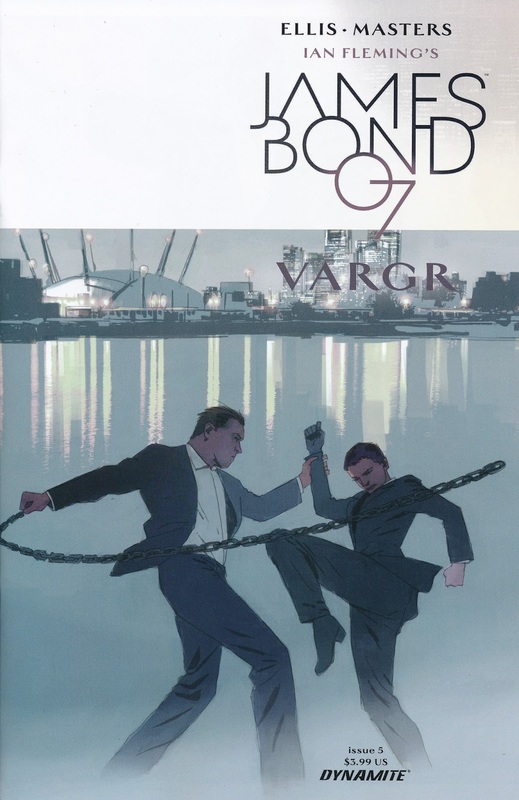 Issue 5 out of 6 of the James Bond comic series VARGR is now out and have found its way all the way to Sweden. The issue was supposed to be released on March 2 but was postponed twice and was finally released today on March 16. I find it quite wired that the release date for the next issue is never mentioned in the comic itself. I also find it strange that the publishers work with their material so close to the release date. Would it not be more easy to have a deadline for the material with a release date a few months ahead so that problems can be solved without hurting the sales. Anyhow the fifth issue is now out and the sixth and final chapter is said to be released on April 6. Then I will shut down my computer for one night and finally read the entire story. Below you can see the cover for issue 5. A tense action thriller that knows how to take its time and deliver a page turning comic. 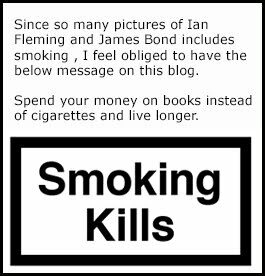 Whoever’s writing the next Bond flick should check this book out and take notes! You can order your issue here!